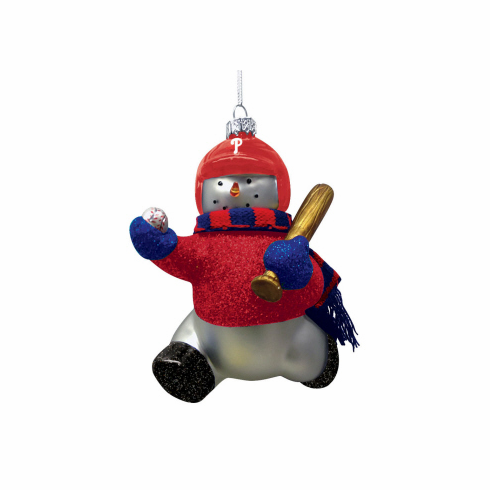 Philadelphia Phillies Blown Glass Snowman Baseball Player Christmas Ornament. Each unique ornament is hand-painted and includes a mini scarf! Measures appx. 4.7" x 2.5" x 5.8".